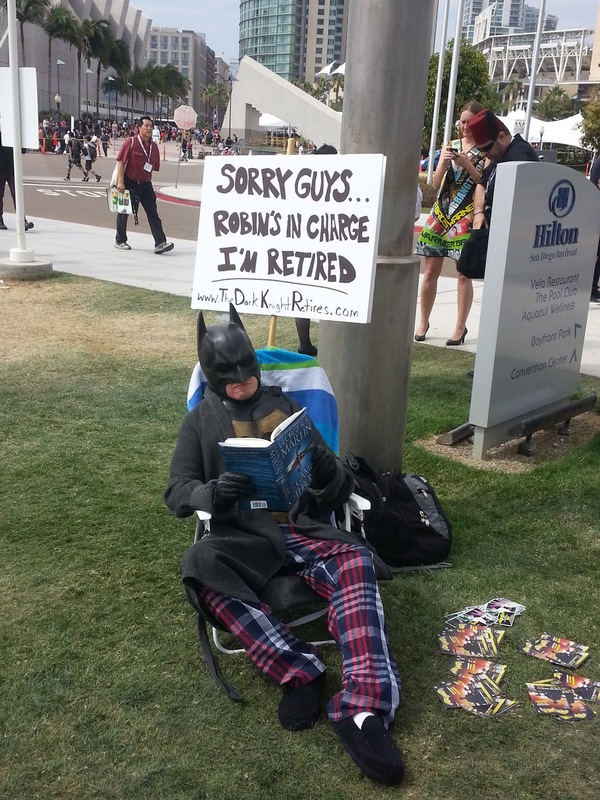 As some of you know this weekend is Comic Con took place this weekend here in San Diego. 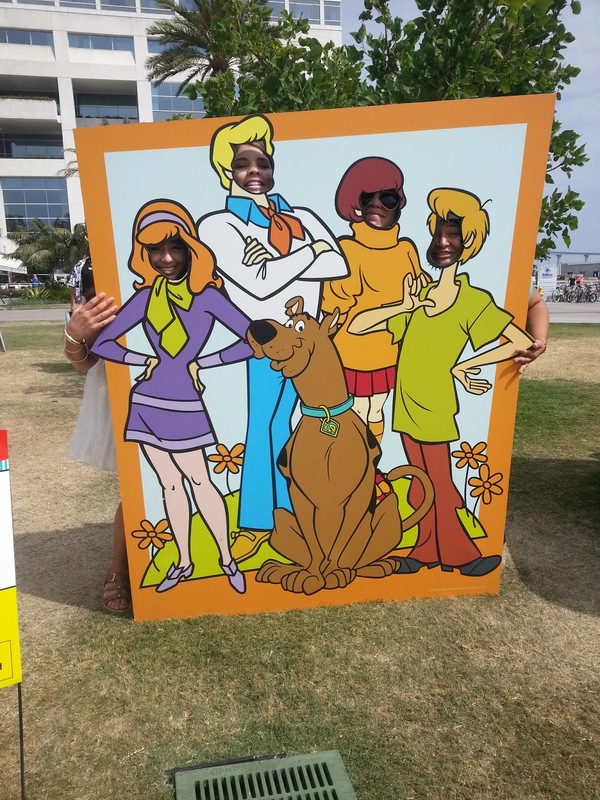 Although we didn't have tickets to go to the event itself, my friends and I decided to go and hang around the Convention Center to see people in costumes (and see if we could snag freebies). 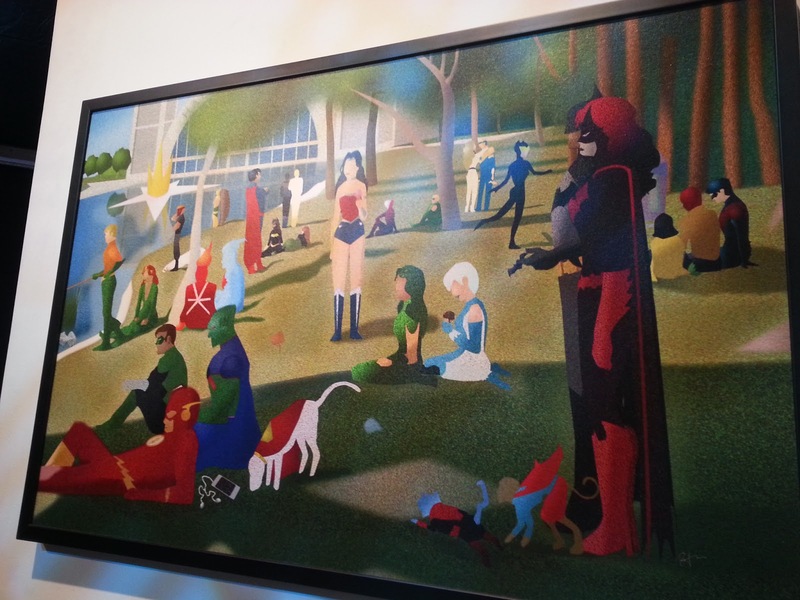 My boyfriend did go to Comic Con on Friday, we won his ticket in a raffle (so lucky!) so I will also share the pictures he took. I apologize if these pictures are a bit crappy, but they were taken with my phone. 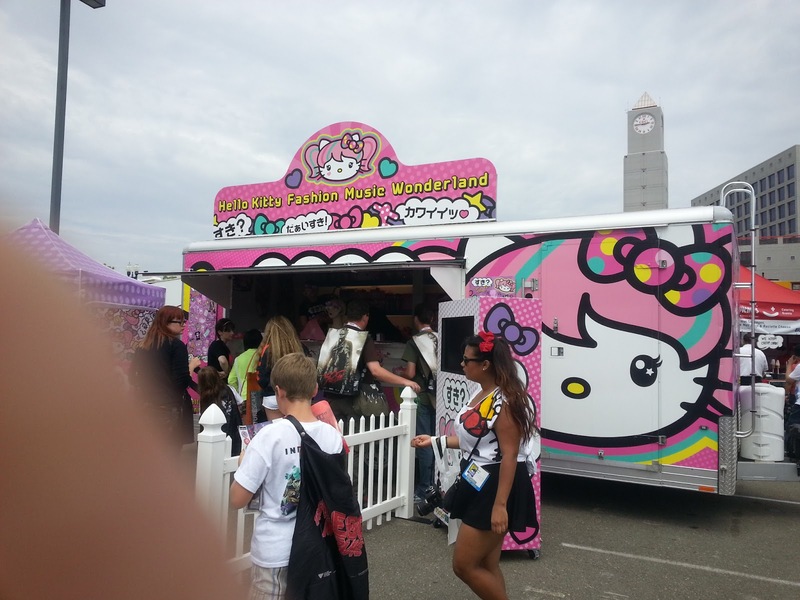 They even had this hello kitty booth, they were selling stuff from an upcoming collection, they even had a nail art booth. 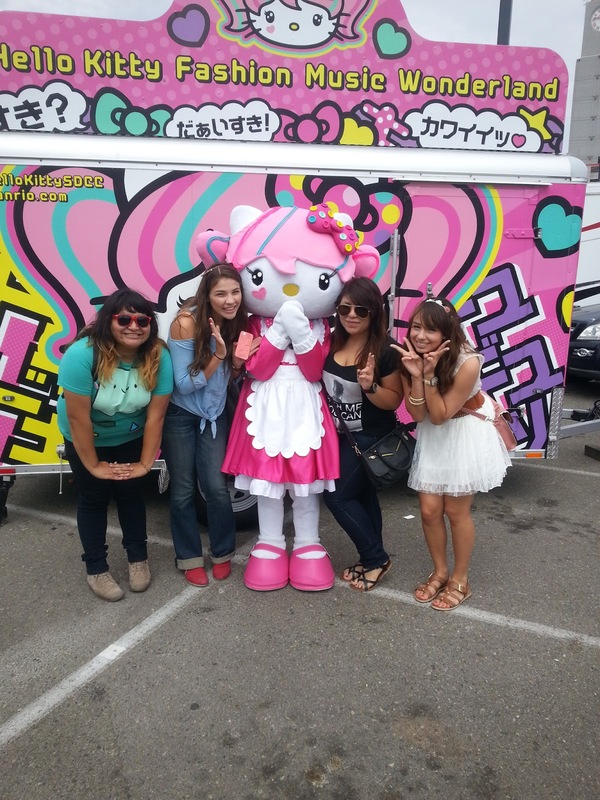 As we were walking away Hello Kitty came out and we took picture with her! They even gave us these paper crowns. By the way that guy in the background looks like he is with us, but we don't even know him, he photo bombed us! I just hate when that happens. 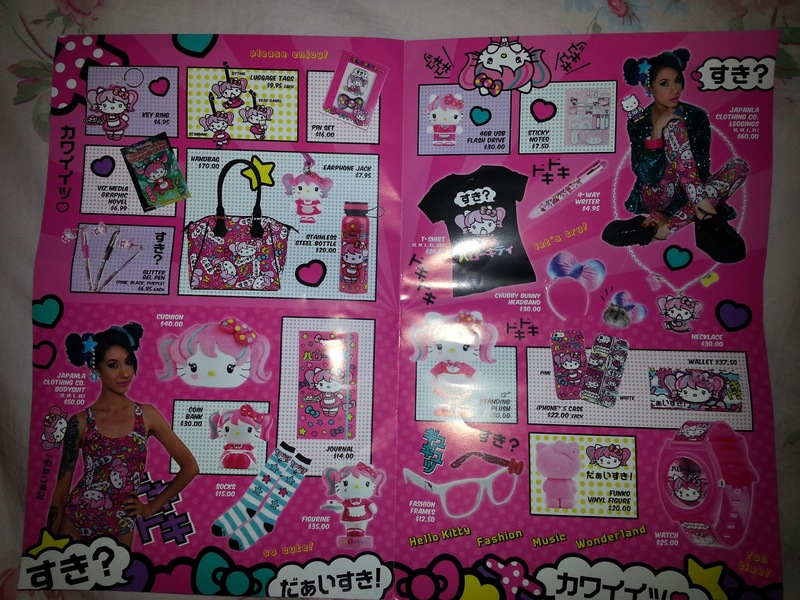 Anyways here is the brochure with the products of the upcoming collection. 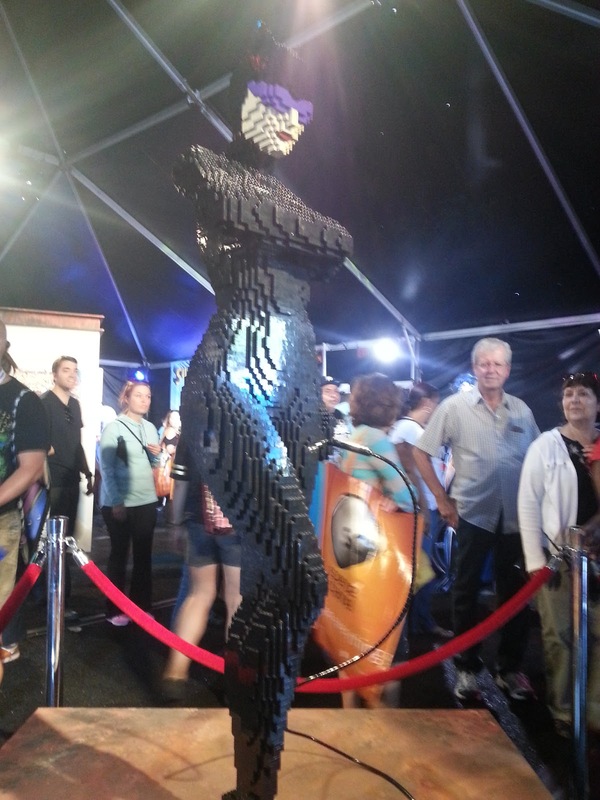 Then we went to see a like a 10 minute preview of the movie "Gravity", then we walked around more and asked people in costumes to take pictures with them. 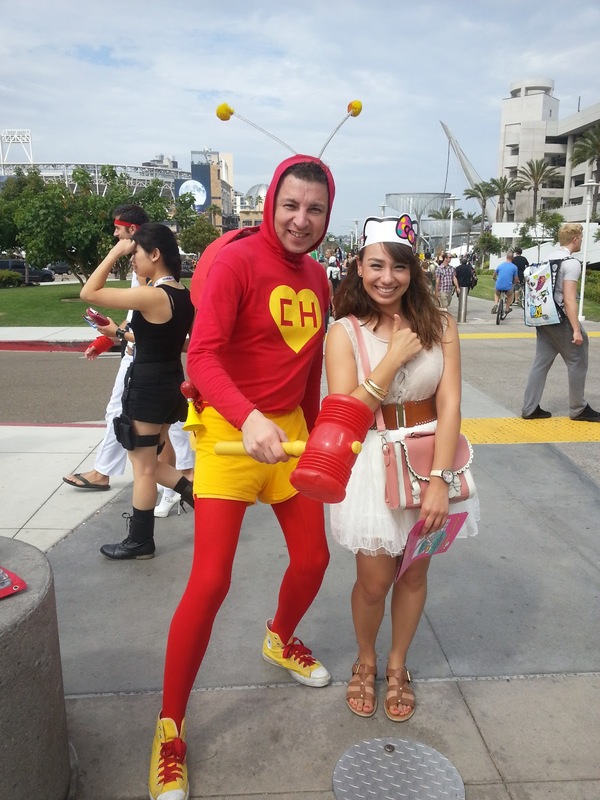 This is "El Chapulin Colorado" it's a mexican superheroe, but the character is just the typical super heroe, I remembered how much I loved the show when I was a child. 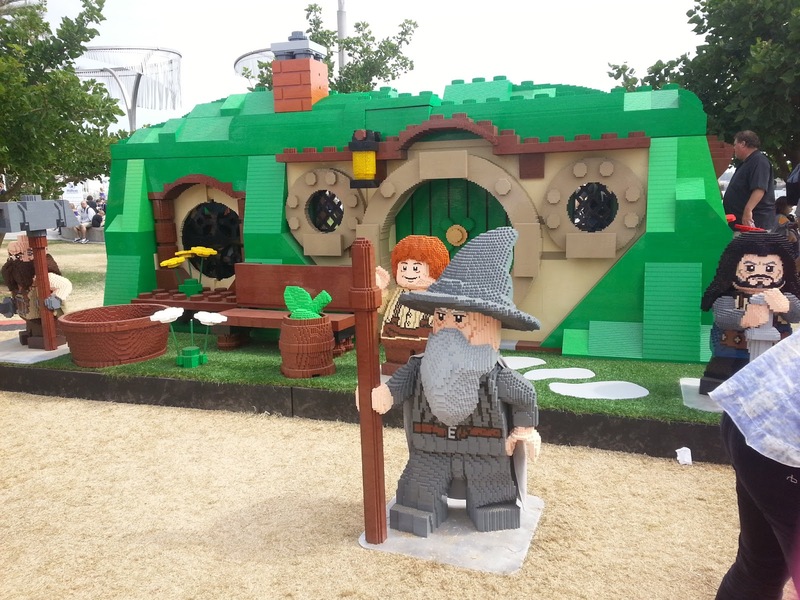 Hobbiton made out of legos! 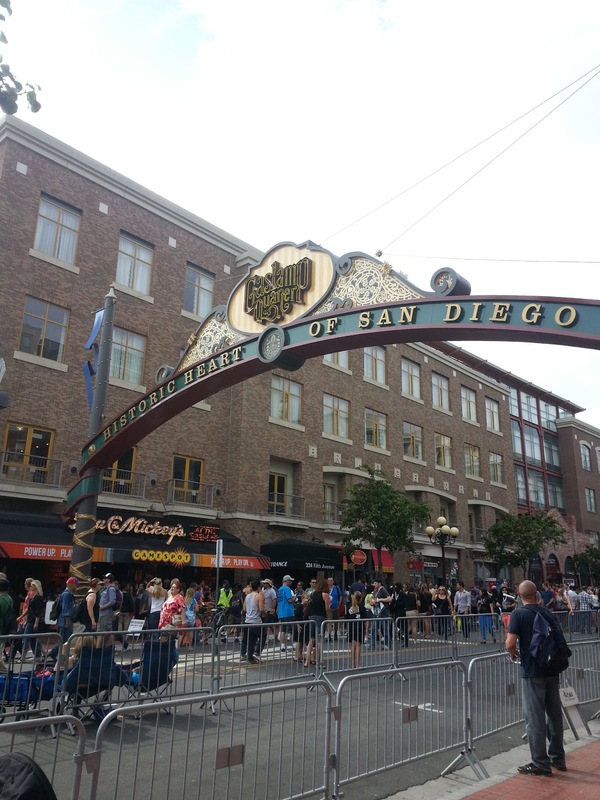 The Gaslamp was closed to traffic, and super busy! that's pretty much everything we over then, Then we went to eat and have few drinks at a placed called "Gaslamp Tavern" it was delicious. 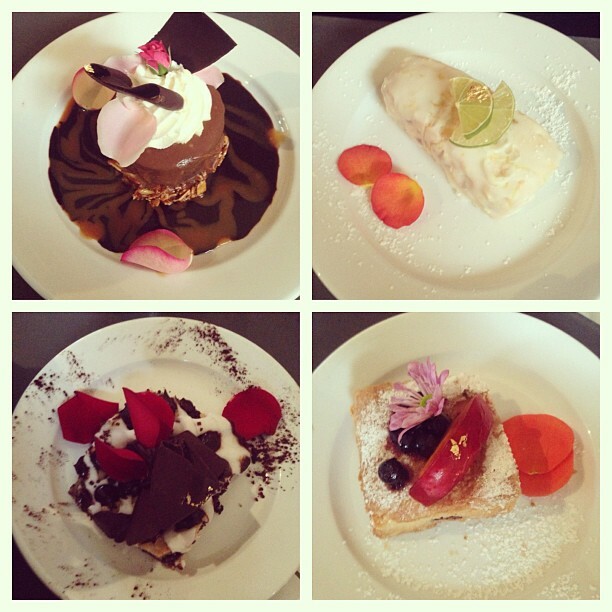 Afterwards we went to "Extraordinary Desserts" they only sell desserts and they are just too pretty to eat! We couldn't even finish them because we were just too full. So here are photos my boyfriend took. Even I included some pictures of my boyfriend because then people might believe I stole them from someone's facebook or something. It's McLovin from superbad! 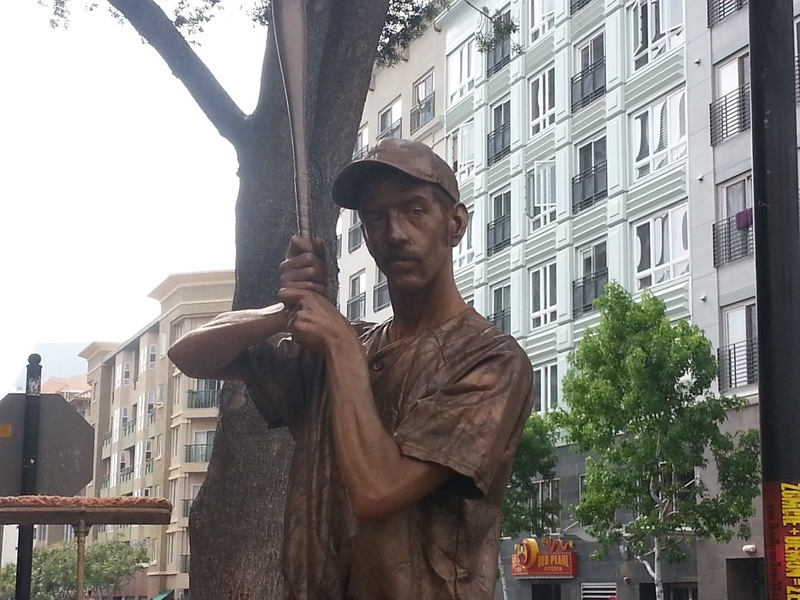 he looks so different now. 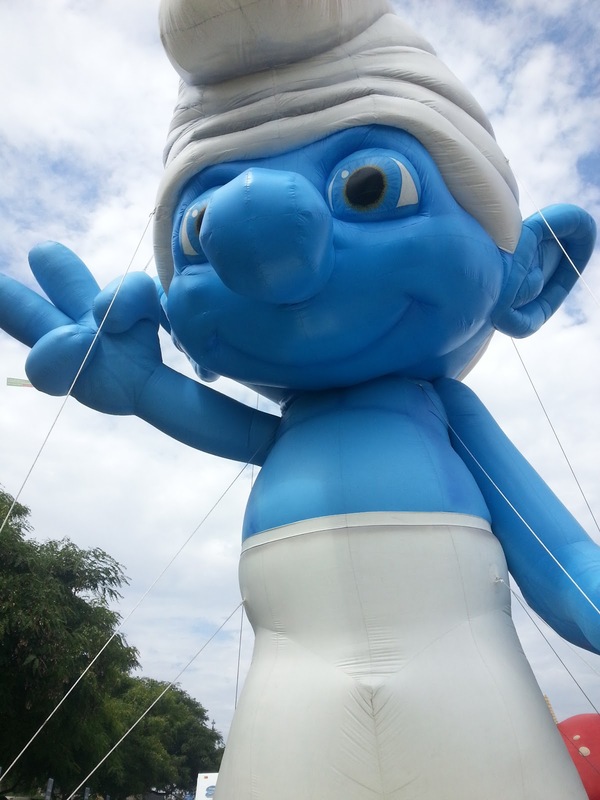 I want to gooo ;_; It looks so much fun! 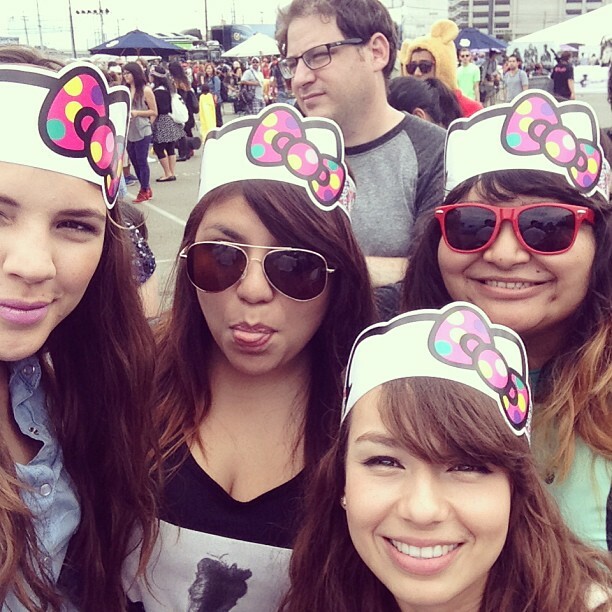 You and your friends looked super cute~ I'm envious! 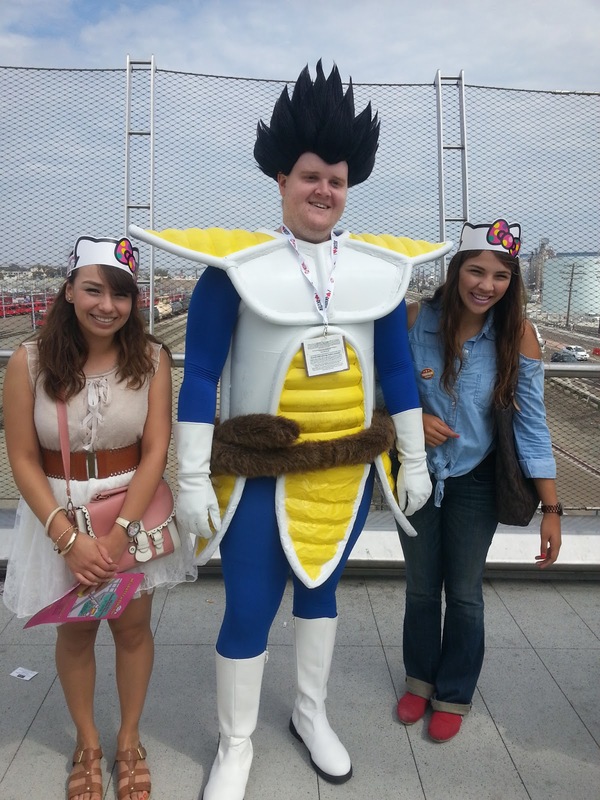 I think Comic Con definitely looks like a fun experience. 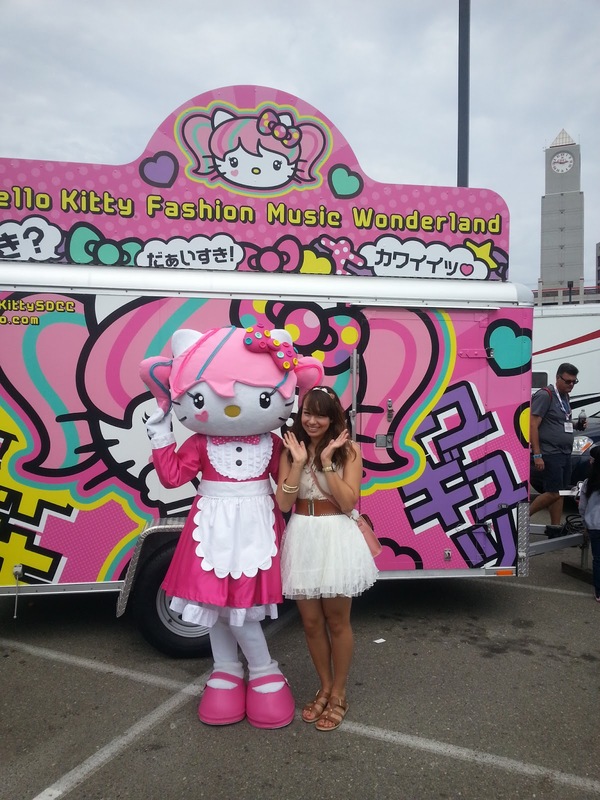 I love your pictures with Hello Kitty! Thanks for the comment on my blog, follow you on GFC and bloglovin now. Keep in touch! 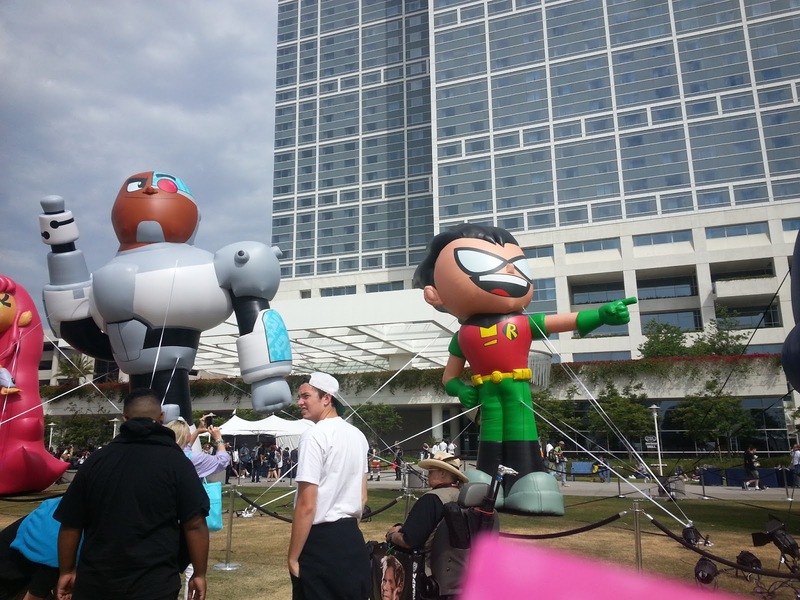 Oh The SDCC looks really great thanks for share the pics! I am so jealous that you got to go. I went to California during the same time and I remember my computer almost crashed because of how many people trying to get tickets to it! I hope you had fun. I think you had enough fun for the both of us :-) Love your blog! So kawaii!